Amman Arab University was today honoured with the presence of Drs Daan Elffers, Founder and CEO of EMG CSR Consultancy (www.emg-csr.com), the international consultancy for Corporate Social Responsibility (CSR) headquartered in The Netherlands. 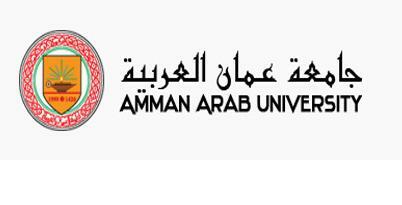 It marked the first time that the Amman Arab University has had an external expert speak on the topic of corporate responsibility. Drs Elffers’ visit to Amman coincided with a series of conferences organized by the Vision Institute for Civil Society & Good Governance Studies (www.vicss.org.jo) and was in relation to a project on leveraging the potential of CSR in Jordan which is an initiative of the Embassy of The Netherlands in Amman. After a short introduction about EMG, Drs Elffers explained the definition of CSR, the urgent need for its implementation on a global scale, and the great potential for business through sustainable development. Drs Elffers encouraged students to think outside the box and consider that CSR can focus on ‘doing more good’ socially and environmentally in addition to its economic perspectives. He stressed that many organizations would have to take a new mindset on board to achieve new holistic outcomes in this respect. “It’s a great positive challenge for the next generation of professionals,” he said. EMG CSR Consultancy works with businesses, governments and non-profit organizations worldwide, helping them to become more prosperous through sustainable development.